More than a thousand years Kathmandu, situated on the old caravan way between India and Tibet, has been an assessable center of trade. Unfortunately it eats itself unstoppable into the surrounding valley today. Nepals capital city demonstrates how peaceful the worshippers of different religions can live together. Hindus honor their holy cows in the vast temple of Pashupatinath, Sadhus show their manlyness to tourists and faithful Buddhists measure the way around the Stupa of Bodnath with their bodies. Kathmandu offers many exciting places. Monasteries, the palace, many oriental markets, temples, guru’s and, and, and. 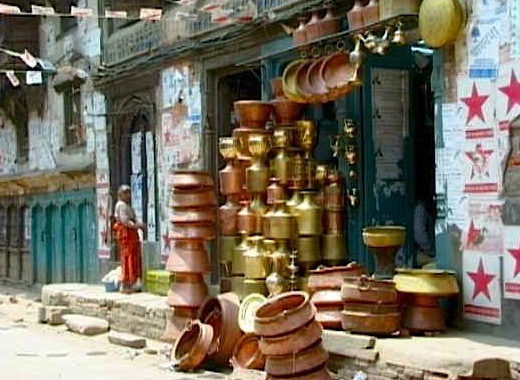 Every visitor to Nepal should take the time to spend some days in this enchanting metropolis.